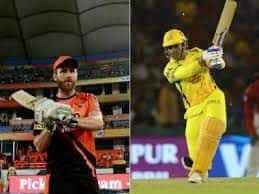 Dream11 Prediction DC v MI Dream11 Team - Check My Dream11 Team, Best players list of today's match, Delhi vs Mumbai Dream11 Team Player List, SRH Dream11 Team Player List, Dream11 Guru Tips, Online Cricket Tips IPL 2019. 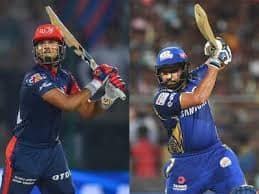 Dream XI Team DC vs MI IPL 2019 – Cricket Predictions Tips For Todays IPL Match Hyderabad vs Chennai at Feroz Shah Kotla, Delhi: On a roll, Delhi Capitals will lock horns with Mumbai Indians. After three away wins, Delhi will be back to their qila, where they will hope to continue the winning momentum. Mumbai Indians, on the other hand, are coming off a win against RCB by five wickets. Both the sides stand a solid chance of making the cut for the playoffs. Mumbai is on the third spot, whereas Delhi is one better at two. Wicketkeeping: It will be a tricky choice to pick between the two solid keepers – Quinton de Kock or Rishabh Pant. But in-form de Kock is anyday a big threat to the opposition than Pant. Also, de Kock’s batting form and his ability to read the situation better makes him a valuable asset for the side. Batting: Both Mumbai and Delhi boast of some of the biggest names of world cricket ranging from – Rohit Sharma, Shikhar Dhawan, Prithvi Shaw, Kieron Pollard, Krunal Pandya. As the Mumbai track is known to assist the batters a little more – it would be ideal to pick batsmen who can dominate from the word go. Rohit, Suryakumar, Hardik, de Kock, Dhawan and big-hitting Pollard would be an ideal choice for the batsmen’s role. Bowling: Keeping the nature of Feroz Shah Kotla track in mind, the role of Jasprit Bumrah, Kagiso Rabada, Sandeep Lamichhane become very crucial for their respective sides. The young Axar Patel can be picked as the spinner in the side. All-Rounder: It’s a no-brainer keeping in mind the smashing all-round abilities of Hardik Pandya and Krunal Pandya, no individual will even dare to drop him from his/her fantasy XI. 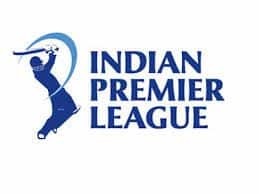 Rohit Sharma (C), Shikhar Dhawan, Suryakumar Yadav, Quinton de Kock(WK), Krunal Pandya, Hardik Pandya, Kieron Pollard, Axar Patel, Kagiso Rabada Jasprit Bumrah and Sandeep Lamichhane.